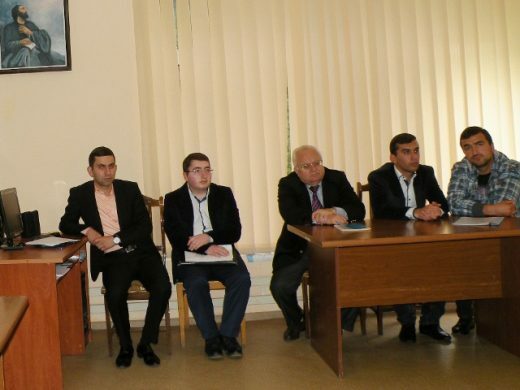 On May 12 of 2018, YSU Ijevan Branch hosted republican scientific conference entitled “1918 Heroic Battles of May and Foundation of First Republic of Armenia” dedicated to the 100th anniversary of the First Republic. 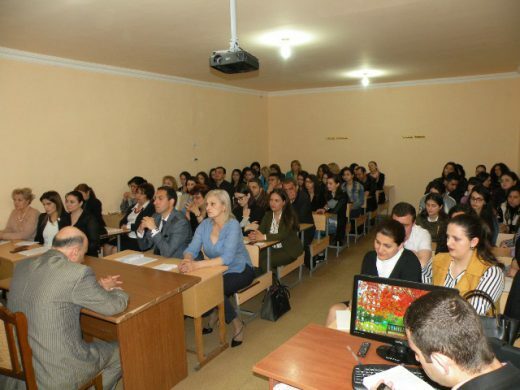 More than 50 representatives of scientific-educational institutions of the Republic (not only lecturers, scholars, but also students and graduates) took part in the conference. “1918 Heroic Battles of May and foundation of the first Republic of Armenia” conference was held in four Departments. 1.Armenian History, Economics, Social Science and Art Department (Head of Department, David F. Tinoyan / Natella Grigoryan / (in charge of Educational Program). 3. 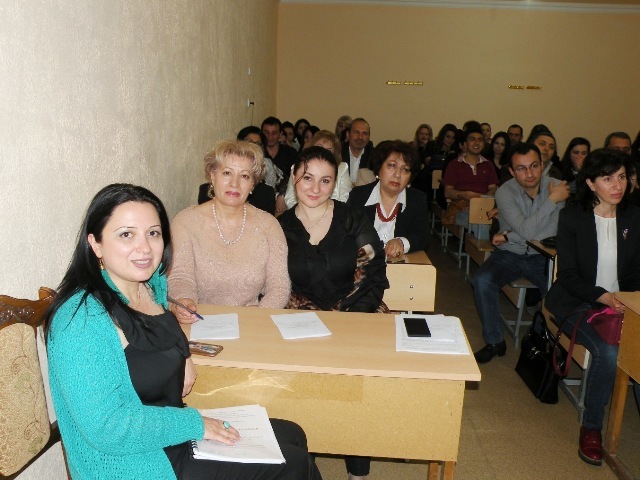 “Pedagogy and Psychology” (co-chairs: Liana M. Harutyunyan / Head of Department / Anna S. Kamalyan / in charge of Educational Program /). 4. “The English Language and Literature” Department (Co-Chairs, Harutyunyan Kristine M. / Head of Department, Astghik V. Simonyan / in charge of Educational Program). 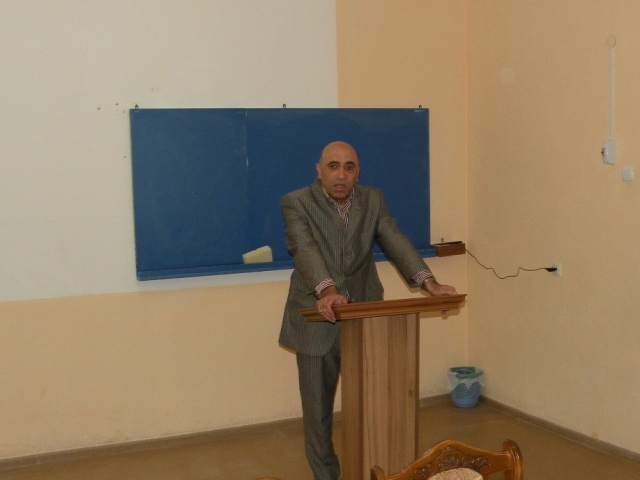 First, a session took place and YSU Ijevan Branch Director, PhD, Associate Professor Samvel Arakelyan made an opening speech. He welcomed all the organizers, the participants, the invited and especially the youth, expressing conviction that in a very short time our youth would have the Armenia that has been a dream for all of us. 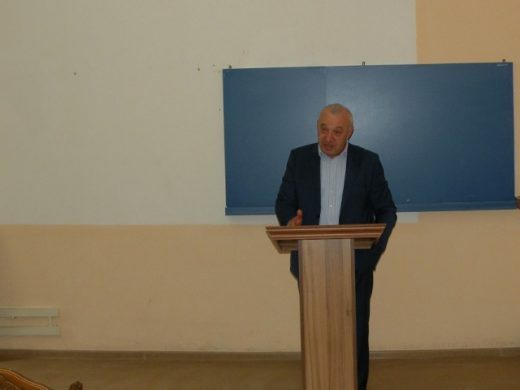 Mr. Arakelyan considered it symbolic that the conference dedicated to the 100th anniversary of the Republic of Armenia and the other events were taking place under these conditions in new Armenia with new thinking, new consciousness and new youth. He highlighted the importance and purpose of the conference and presented the main points of “1918 heroic battles of May” and first Republic Foundation emphasizing the historical truth of building our free-independent state with our own struggle. “Do not you think that other nations receive everything so easily but we, on the contrary, have to struggle to build our freedom, and in a small corner of this planet, we have to fight for the right to live freely? Then the Dean of the Faculty of Humanities, PhD, associate professor Ashot Nersisyan delivered a speech and presented the concept of the conference committee’s approach, namely, the main topic of the conference should be to encourage the participants to address problems faced by the people, its statehood, its development processes, people’s lived and living years, present their views on the different fields of science, the best of which would be published. 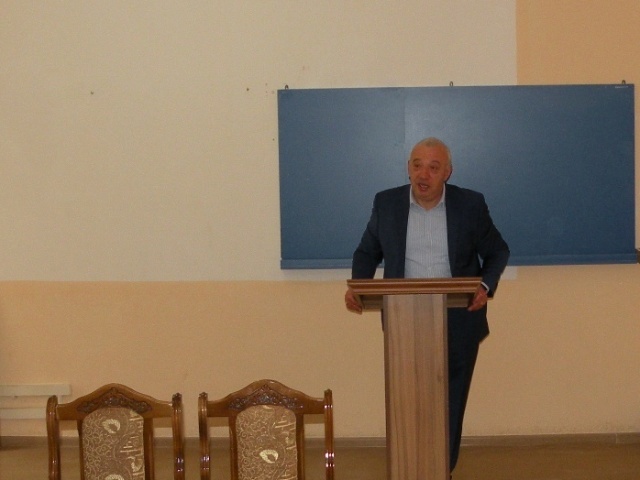 During the session Mr. Nersisyan also made a report, introducing the history of the First Republic, its development and decline, drawing parallels with the current political developments in Armenia. Then the work of the conference took place in the departments. The topic of the reports was free. Ara Azatyan, Arpine Yeganyan, Alikhan Baldryan, Shirak Gasparyan, Larisa Ghazumyan, Tsovinar Karapetyan, Tigran Ghushchyan, Hrant Gharagyozyan, Nona Begnazaryan, Sose Khachatryan, Asya Sargsyan and Nara Tadevosyan delivered speeches at the Department of Armenian History, Economics, Social Science and Art. 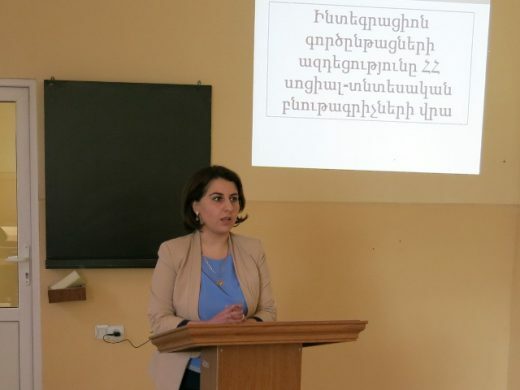 Vachagan Avagyan, Aida Sarhatyan, Vahan Aghababyan, Hasmik Vanyan, Zaruhi Yaylayan also made reports at the “Armenian Language and Literature” Department. 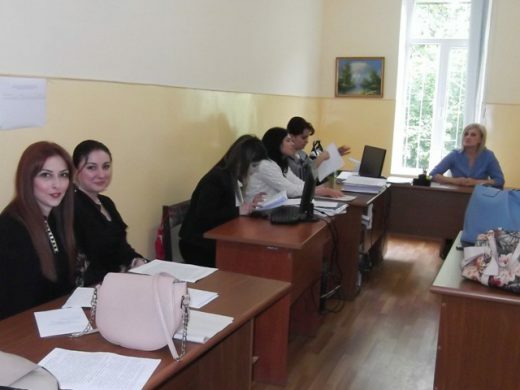 Knarik Asmaryan and Arevik Khugeyan, Marianna Avagyan, Anna Simonyan and Tamara Nalbandyan, Anna Kamalyan, Taguhi Barsamyan, Irina Ponomarenko and Gayane Khachatryan, Victoria Meliksetyan, Nelli Ayvazyan, Siranush Ghushchyan, Gohar Gasparyan and Tatevik Kirakosyan, Irina Ponomarenko, Knarik Asmaryan and Mane Ghazaryan, Marianna Amiraghyan and Vanuhi Harutyunyan made reports at the Department of Pedagogy and Psychology. 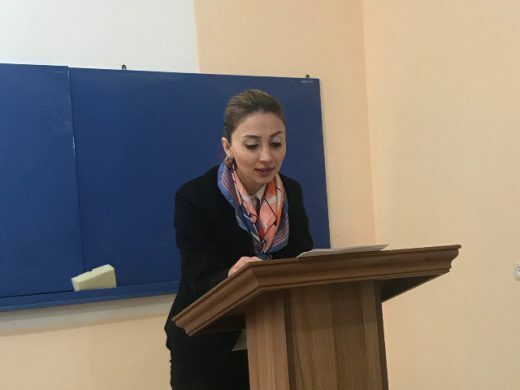 Astghik Chubaryan and Astghik Simonyan, Gayane Muradyan, Kristine Harutyunyan, Narine Gasparyan, Gohar Madoyan, Zaruhi Antonyan, Anahit Galstyan, Anna Karapetyan, Mariam Khajakyan, Anna Khachatryan, Nuarda Yernjakyan, Sona Gulyan, Naira Gasparyan and Artavazd Darbinyan, Shushanik Grigoryan, Emma Temrazyan, Hasmik Mkhitaryan, Hasmik Mkrtchyan, Markuhi Voskanyan, Narine Yetimyan, Naira Martirosyan and Zaruhi Vartanyan presented their reports at the Department of English Language and Literature. At the end of the conference, the participants received certificates. The works approved by the conference Certifying Commission for publication of thesis, will be published in a separate collection.